Key difference: The main difference between fish and dolphin is that the dolphins are mammals, whereas fishes are aquatic animals. Many people confuse dolphins with big fishes. However, such is not the case. Although, the two, fish and dolphin, look similar and live in harmony together under water, they are still not the same. People for long have been fascinated with these playful and intelligent sea creatures we call ‘dolphins’. 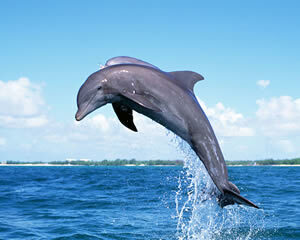 Dolphins are said to be one of the most adorable mammals of the sea world. They are widely popular among both children and adults. 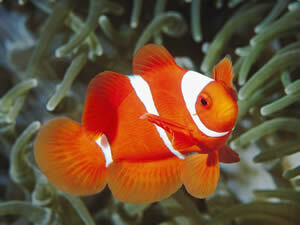 These cute and smart mammals enjoy splashing and living in both salt water as well as fresh water. Though, they do tend to stick in the shallow locations of water, which makes it easier to spot them. Despite their huge bodies, dolphins are quick to move through water, without exerting huge amounts of energy. They use their pectoral fins and the fluke (tail) to navigate through the water. Through research, ‘echolocation’ is said to be the key element in the evolution of dolphins. It is a complex ability located in the head of a dolphin, which allows them to communicate in the water by identifying sound waves. Dolphins have very good vision, and they are able to see what is around them both in the water and when they are above the surface. They have excellent hearing too, with the ability to hear about 10 times better than humans. The sense of smell isn’t well developed for them though. The sense of touch is very sensitive for dolphins and they use it for bonding within their pods. They rely on a combination of their senses to avoid danger, to find food, and to socialize. Fishes are said to be residing on Earth, long before dinosaurs roamed the earth. A fish is an animal which lives and breathes in water. It is a member of the paraphyletic group. There are over 15,000 varieties of fishes, and can be further classified under lampreys, cartilaginous and bony groups. They are abundantly found in all water bodies or aquatic environments such as high mountain streams, abyssal and the deepest oceans. They are ‘cold-blooded’ in nature. Fishes breathe through gills; they have fins on their bodies and scales on their skin. Fishes exhibit huge diversity among its species. Along with that, they also have excellent senses of sight, touch, taste and many possess a good sense of smell and 'hearing’. They too feel pain and suffer stress just like other animals. Fishes are an important food source for humans worldwide. They are commercially and substantially used through wild fisheries, or farming in ponds, or in cages in the ocean. They are also caught by recreational fishers to be kept as pets, or be raised by fish keepers and be exhibited in public aquaria. Fish also have an important role in our culture through the religious symbols, and as the subjects of art, books and movies. It is a member of aparaphyletic group, which consists of all gill-bearing aquatic animals that lack limbs. They belong to the order ‘cetacea’ and include all, such as the sperm whale, killer whale, etc. They live in both fresh water and oceans. They live only in oceans. They have lungs for respiration. They give birth to their young ones. They are large in size. They have no hair in their skin. They have hair on their skin. They move their tail from side-to-side. They move their tails up-and-down. They do not nurse their young.